Kelvin Droegemeier, the president’s choice to be his science advisor. Noted craver of “the cleanest air” Donald Trump has finally nominated a science advisor. It’s the longest the post has remained vacant since its was created under law in 1976 (the post has been around since 1941). To fill the vacancy, Trump nominated Kelvin Droegemeier on Tuesday evening. He currently serves as Oklahoma’s secretary of science and technology and is a vice president for research and a meteorology professor at the University of Oklahoma, where he specializes in severe weather. He has advocated for federal science funding, understands climate science, and is by all accounts a solid pick to head the Office of Science and Technology Policy. His nomination has been met with widespread and bipartisan praise as scientists breathe a sign of relief over what could’ve been. And that right there is the problem. Droegemeier, if confirmed, will be an outlier within an administration that has had a singular, almost maniacal focus on wiping out climate and environmental regulations and drastically cutting science budgets. The man at the top has shown exactly zero capacity to understand even basic climate science or gauge the gravity of the policies he’s enacting. Rolling back car mileage standards, revoking California’s clean air waiver, attempting to leave the Paris Agreement, and trying to spark a new fossil fuel revolution is based on the politics of resentment, lies, and ignorance. None of it is measured. If the administration was interested in a measured approach, it wouldn’t have waited 19 months to nominate a science advisor. It wouldn’t be full of people who with a few exceptions, deny the science of climate change or play dumb to delay action. It’s great that Droegemeier could at least be a different type of voice at the table if he’s confirmed. I’m sure he’ll be a strong advocate for the weather enterprise from improving forecasts to satellite monitoring, which is more important than ever thanks to climate change (see: California). Investing in research could also pay dividends by helping refine climate predictions, something nearly two-thirds of Americans support. But it’s the big picture policies where things start to fall apart. 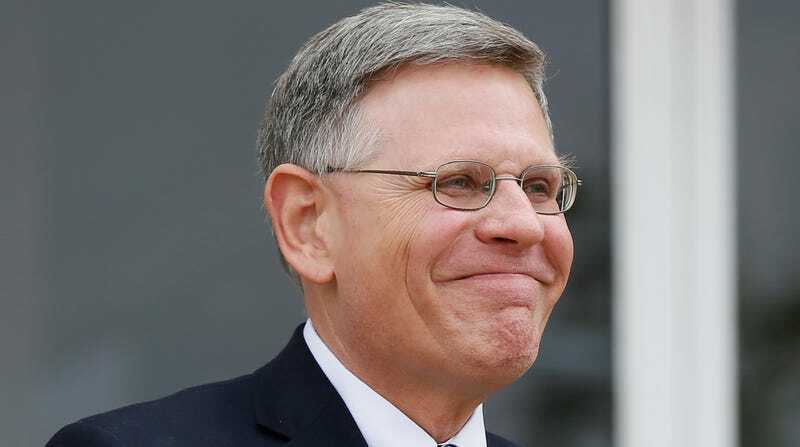 Even in a best case scenario, Droegemeier’s measured influence will likely only soften the chainsaw-like edges of climate and environmental regulatory rollbacks to hacksaw-like ones. The damage will still be done. It will happen at a time when we need to be repairing our climate by reducing carbon emissions rather than ripping it to shreds by putting more of them in the atmosphere. Beyond that, these policies are already taking the U.S. out of pole position in the race to shape the 21st century economy, ceding the top spot to China. But good luck to Kelvin Droegemeier. He’ll need it.